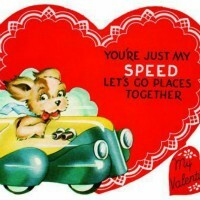 Once again we find ourselves at the time of year when "Valentine" is the operative word of the month. The AACC will gather for a great breakfast Saturday morning Feb 16th at the Marietta Diner. Here's hoping the really cold days are over and we get to start enjoying our beautiful Allante's soon. Please join us at the Diner for a bountiful and delicious breakfast to recognize Valentine's Day and our significant sweeties and Allante' friends. We will meet in the parking lot of the diner so we can look over each others Allante' or XLR and generally talk for a short while on the glories and the tribulations of owning an Allante'. Please join us for breakfast at the Marietta Diner where the food and service are great and your Allante' family welcomes you. We will also discuss a couple of suggestions for April's event. What do you say to an octopus on Valentines Day? I want to hold your hand, hand, hand, hand, hand, hand, hand, hand!